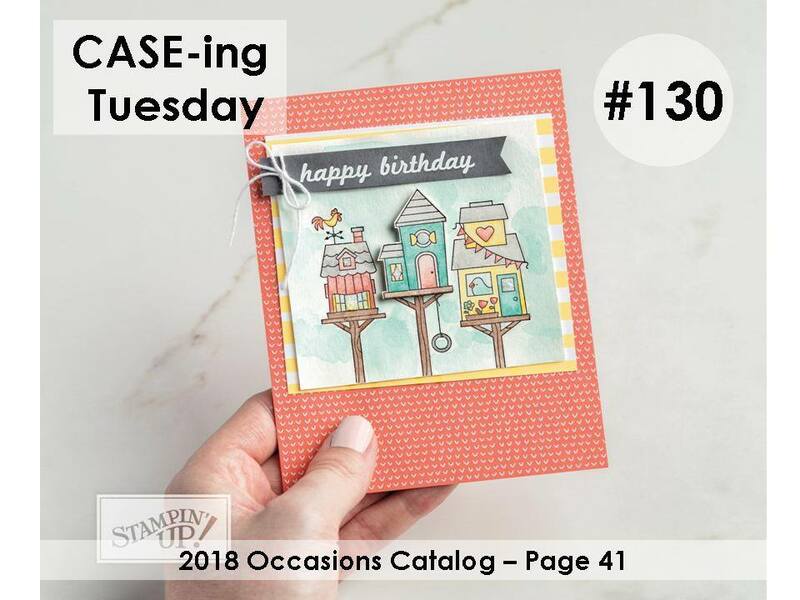 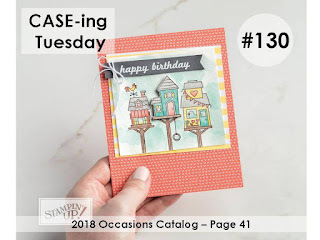 Again this week I am back with the CASE-ing Tuesdays bloggers. I am really enjoying being part of the group as it's great for sharing and inspiring others. I haven't used Sweet Sugarplum for a while so I have chosen to use this colour for my card base and also some of the patterned dsp from the Tutti Frutti stack, which is a beautiful set of dsp as there are fruit based designs on one side and pretty patterns on the other making it so versatile. 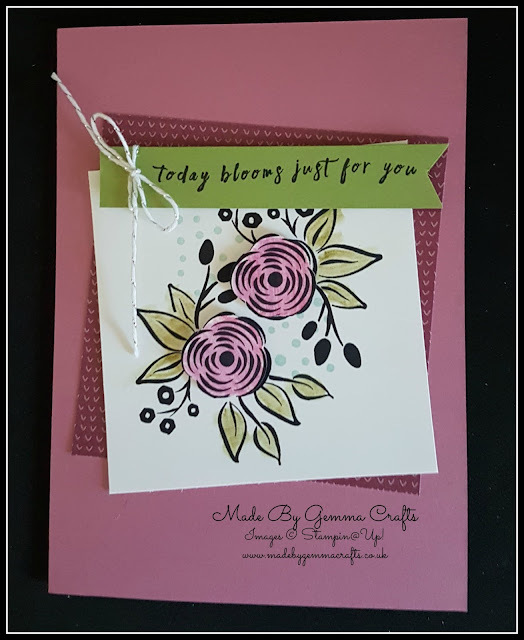 I have used the Perennial Birthday stamp set for my flower images and coloured them with my watercolor pencils. 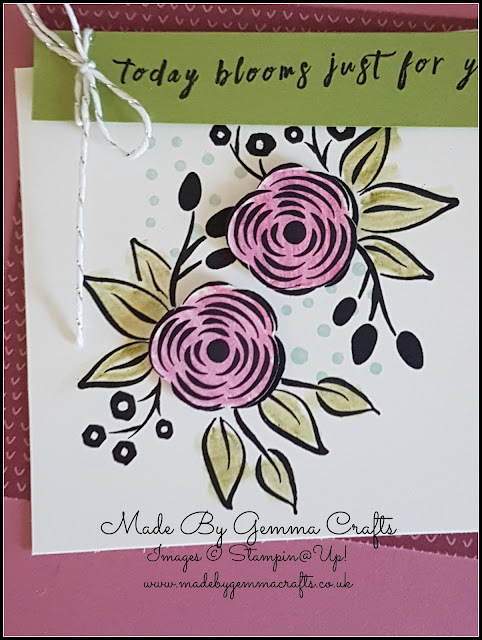 The sentiment banner is made with a strip of Pear Pizzazz card and I have added a bow of silver bakers twine.